Throughout Mexico, soft tacos filled with tender vegetables garner as much respect as their meaty brethren. 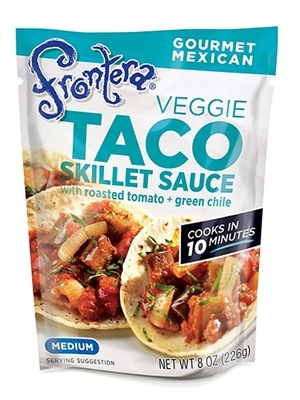 Veggies seasoned with roasted, fresh tomatoes and just a little roasted green chile make extraordinary tacos. Ingredients: TOMATO, FILTERED WATER, TOMATOES (TOMATOES, CALCIUM CHLORIDE, CITRIC ACID), TOMATO PASTE, ONION, CILANTRO, ANAHEIM PEPPER, POBLANO PEPPER, GARLIC, SALT, CITRIC ACID.